The climax of a. season which has brought much personal success to P.B. 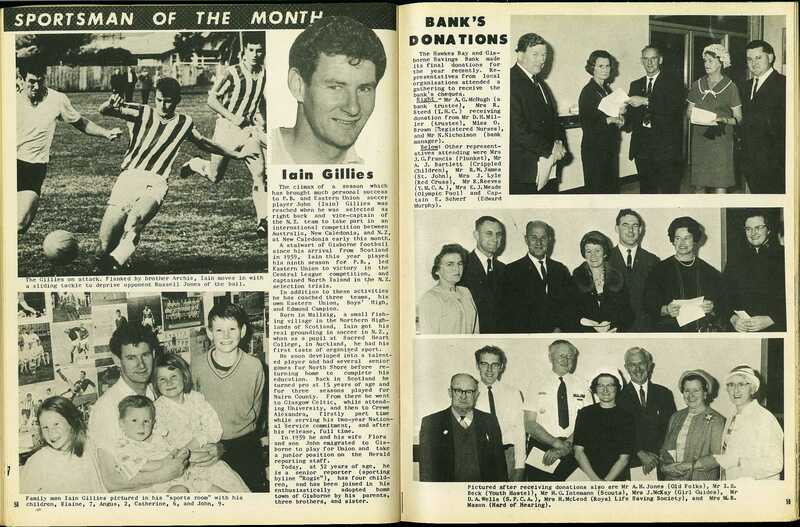 and Eastern Union soccer player John (Iain) Gillies was reached when he was selected as right back and vice-captain of the N.Z. team to take part in an international competition between Australia, New Caledonia, and N.Z, at New Caledonia early this month. 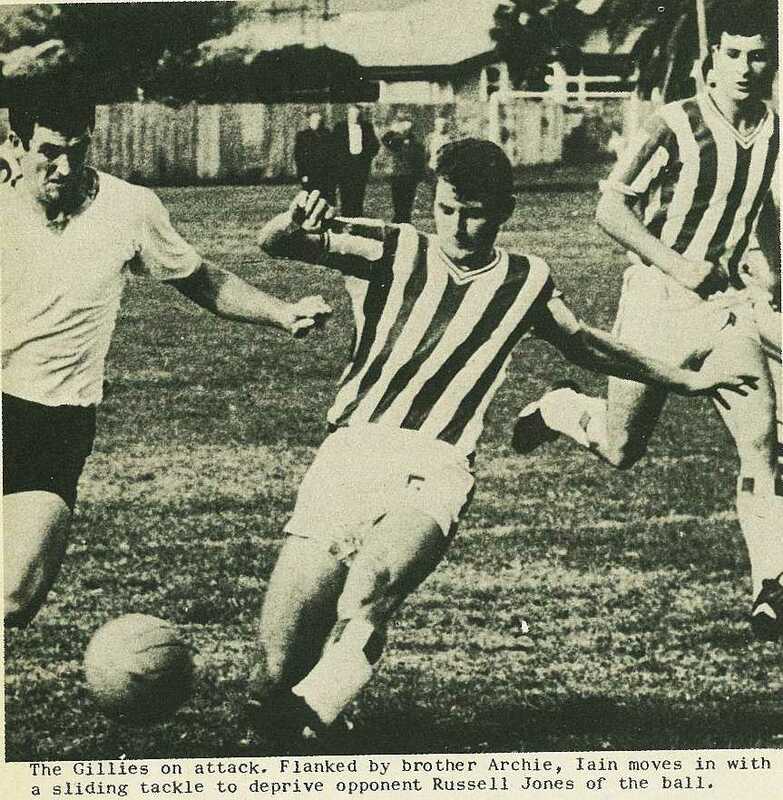 A stalwart of Gisborne football since his arrival from Scotland in 1959, Iain this year played his ninth season for P.B., led Eastern Union to victory in the Central League competition, and captained North Island in the N.Z. selection trials. In addition to these activities he has coached three teams, his own Eastern Union, Boys' High, and Edmund Campion. 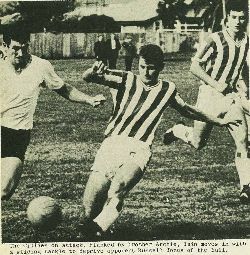 Born in Mallaig, a small fishing village in the Northern Highlands of Scotland, Iain got his real grounding in soccer in N.Z., when as a pupil at Sacred Heart College, in Auckland, he had his first taste of organised sport. He soon developed into a talented player and had several senior games for North Shore before returning home to complete his education. Back in Scotland he turned pro at 15 years of age and for three seasons played for Nairn County. From there he went to Glasgow Celtic, while attending University, and then to Crewe Alexandra, firstly part time while serving his two-year National Service commitment, and after his release, full time. 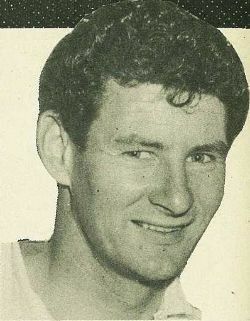 In 1959 he and his wife Flora and son John emigrated to Gisborne to play for Union and take a junior position on the Herald reporting staff. Today, at 32 years of age, he is a senior reporter (sporting byline "Rogie"), has four children, and has been joined in his enthusiastically adopted home town of Gisborne by his parents, three brothers, and sister. The Gillies on attack. Flanked by brother Archie, Iain moves in with a sliding tackle to deprive opponent Russell Jones of the ball. 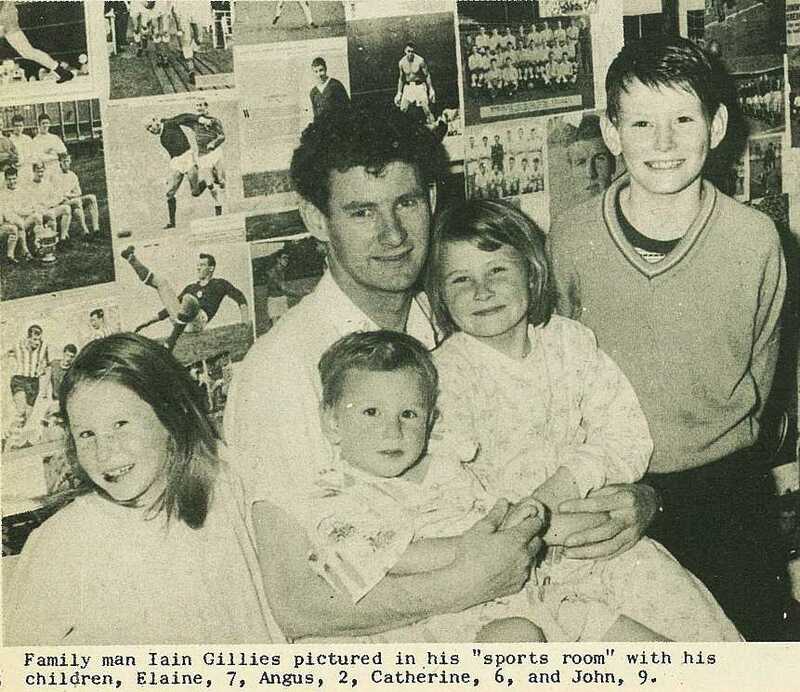 Family man Iain Gillies pictured in his "sports room" with his children, Elaine, 7, Angus, 2, Catherine, 6, and John, 9.